Xiaomi launched its new Mi Mix 3 smartphone in Beijing and we took a complete analysis of the phone. It is an interesting phone with amazing camera features which include a magnetic sliding front camera along with a dual vertical camera setup. The phone has two cameras at the front with a true bezel-less display. The Mi Mix 3 smartphone has a no display notch. Xiaomi is super stylish and to incorporate all the sensors, Xiaomi has concealed them behind the display. These sensors pop up via a manual magnetic slider mechanism. It has fast wireless charging, with a 10W wireless charger which makes it hustle free. This Xiaomi phone comes with a 10GB RAM, Snapdragon 845 SoC, and a 24-megapixel AI-based camera at the front. The company also flaunts that DxOMark has provided it an overall score of 103, along with a photo score of 108 and a video score of 93. So with this score they have made a mark with its place behind the Huawei P20 Pro and iPhone XS Max in terms of overall score, and are placed at the same level as the HTC U12+ and Samsung Galaxy Note 9. Colors- Onyx Black, Jade Green, and Sapphire Blue. The 6GB and 8GB RAM variants will be opened for sale in China from November 1. Xiaomi has also declared that it shall launch a 5G variant in Europe next year. The Mi Mix 3 pre-orders have begun and are available at both offline and online stores. 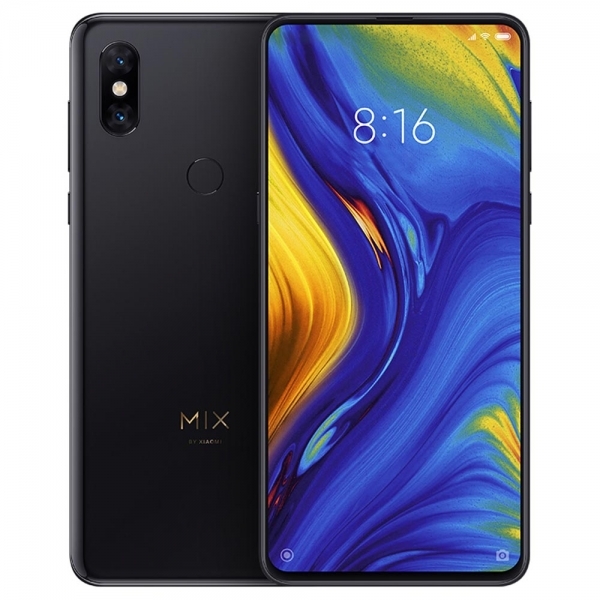 Focusing on the specifications, the dual-SIM (Nano) Xiaomi Mi Mix 3 is installed with Android 8.1 Oreo-based on MIUI 10; It supports dual-SIM (Nano + Nano) slots. It comes with a 6.4-inch (1080x2340 pixels) full-HD+ OLED panel which has a 19.5:9 aspect ratio, and 93.4 percent screen-to-body ratio. It is powered by a Snapdragon 845 SoC. The graphical interface includes an Adreno 630 GPU, and up to 10GB of RAM. It has a dual camera setup with two 12-megapixel wide-angle and telephoto lenses at the back. The wide-angle lens is equipped with a Sony IMX363 sensor with a f/1.8 aperture and 1.4-micron pixels and a dual-pixel tech. The telephoto lens has a Samsung S5K3M3+ sensor with a f/2.4 aperture, and 1-micron pixels. The Mi Mix 3 also has a dual-LED flash, OIS, optical zoom, AI background music, 960fps slow-motion, AI scene detection, AI studio, and AI scene detection. The front camera offers AI features, including beautification and Bokeh effects. The Mi Mix 3 features a rear fingerprint sensor and supports Google ARCore; It has a battery capacity of 3,850mAh battery with 10W wireless charging support. Xiaomi states that the slider performs additional operations apart from opening up cameras like working as a customizable shortcut action for various tasks. You can modify it to take a selfie, make a call, and more. It also makes a different sound each time you slide, and this sound can be customized as per your preference.